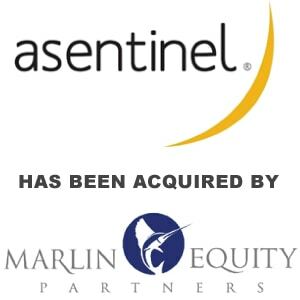 Telecom Expense Management Firm Asentinel Acquired by Marlin Equity Partners - Berkery, Noyes & Co., LLC. MEMPHIS, Tenn., Jan. 12, 2015 /PRNewswire/ — Asentinel, LLC (“Asentinel”), a leading provider of Telecom Expense Management (TEM) software and complementary services that help streamline and automate fixed and mobile telecom spend, is pleased to announce that it has been acquired by Marlin Equity Partners (“Marlin”), a global investment firm with over $3 billion of capital under management and an extensive and successful track record in the technology industry. Encompassing the entire lifecycle of wireless, wireline, data and equipment assets, Asentinel’s patented SaaS TEM solution enables its clients to efficiently manage and reduce telecom and IT expenses, automate accounting and payment processes and leverage analytics to optimize vendor contracts. Headquartered in Memphis, TN, with an additional office in Bucharest, Romania, the company serves a global client base of approximately 200 customers across a variety of industries including banking, technology, services, retail, energy, manufacturing, logistics, healthcare and insurance. Asentinel, a leading provider of Telecom Expense Management (TEM) software, meets the needs of customers by providing telecommunications lifecycle management solutions and services that are delivered through a customer-focused, technology-driven SaaS technology platform. Asentinel holds the only comprehensive United States patents in TEM for its groundbreaking software. The company serves a growing client base of Global 2000, Fortune 1000 and multinational entities that rely on the power of TEM to reduce spend, automate processes, manage inventory and maximize business intelligence and actionable analytics. For more information, please visit www.asentinel.com. Marlin Equity Partners is a global investment firm with over $3 billion of capital under management. The firm is focused on providing corporate parents, shareholders and other stakeholders with tailored solutions that meet their business and liquidity needs. Marlin invests in businesses across multiple industries where its capital base, industry relationships and extensive network of operational resources significantly strengthen a company’s outlook and enhance value. Since its inception, Marlin, through its group of funds and related companies, has successfully completed over 85 acquisitions. The firm is headquartered in Los Angeles, California with an additional office in London. For more information, please visit www.marlinequity.com.